With RJ gone he asked me to post the day in pictures. So I headed out with the new tablet in hand … Here is what I got. Today was Awesome!!! I entered two three head ropings and a rodeo yesterday and didn’t do any good … Today I entered one three head roping and won all three rounds with a paycheck and the average for a buckle. 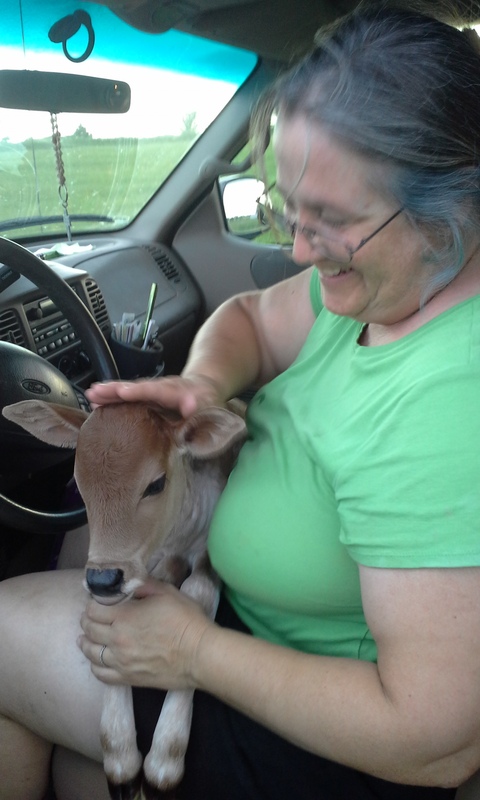 I got home to get chores done and when I went to bring up my horse because I am heading to 4-H Camp tomorrow, I found a baby Zebu! What the difference a few days can make. Thursday-Friday I thought my world sucked and I was angry and hurt and wellll, You know … Today CLOUD NINE BABY!!! 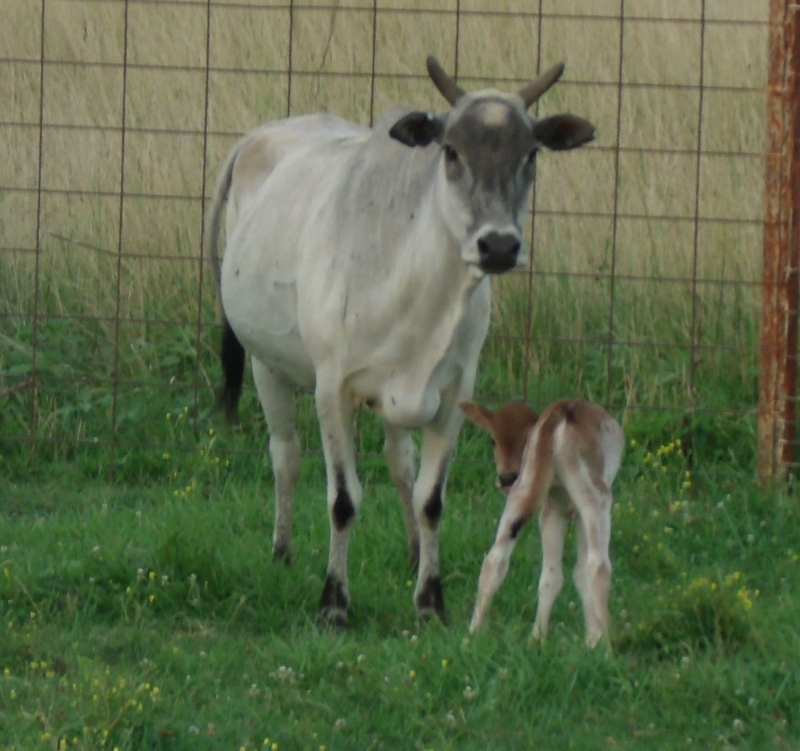 And I didn’t even get mad that my horse bucked off across the pasture when I tried to mount her with the baby Zebu … LOL I have also never seen Mom get to the pasture through two gates and in slipper feet that fast before. She couldn’t be prouder … God’s Blessings sure are making us smile today … So you want to see??? Mom’s is so sweet on this little girl … Can you blame her? The World Keeps On turning …. I know I have been quiet for the past few days but I have a story to tell. It isn’t going to be a nice one either. It won’t be mean but it will be full of facts that aren’t very nice. Sadly, they will all be true. Mom and I talked about me not writing this story but in the end it came down to the fact that I have never sugar coated anything from anyone. And I will not start now. This story is a shearing story. For the purpose of this story we will refer to one Shearer as Mr. X and the other to Ms. Y. These are not people I know on any other level other then as shearers. So they might just happen to be the nicest people in the world. However, as shearers I think they aren’t very professional. That being said, I wrote this story and Mom edited it to kind of make it not sound like we are being mean. Some remarks were left in so that you get the feelings I am feeling but some were removed because, as Mom puts it, at my age there is a fine line between “DUHH?” and smart mouthed Kid. So here it goes. You see it all started Months ago. I called and called and never got Mr. X the shearer to return my call about shearing my flock this spring. It is not like I called a few times and that was it. I called for months trying to see when he could come shear for us. He never answered or returned my call. So Mom and I talked about it and decided if he didn’t want our business for what ever reason we would move on. 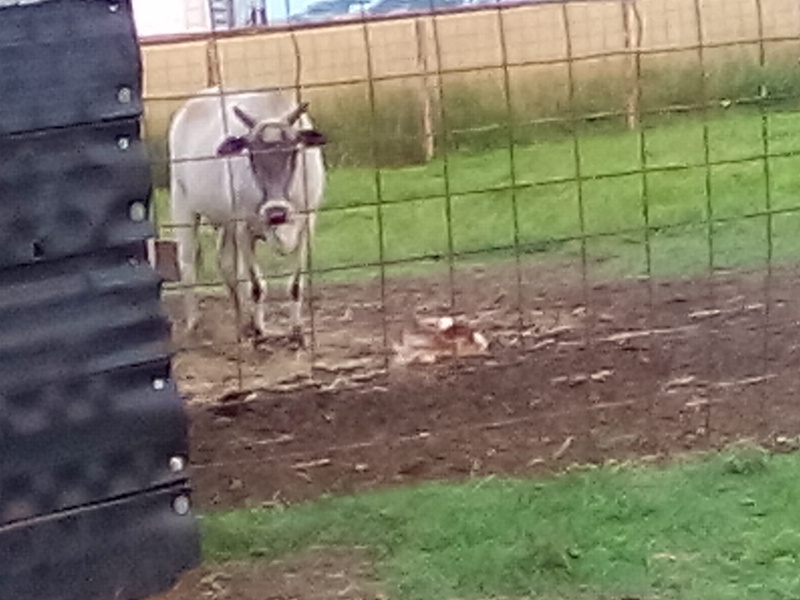 We had already had issue with Mr. X in the past as he is rough with the livestock, Hates shearing our goats (his words not ours) and even broke sweet little Camilla’s Horn. So Mom and I jump online and after an internet search we locate a few other shearers. Some said we waited to long and they are booked up. (I didn’t wait to long to call Mr. X who has sheared for us since we got the first goats but that is our fault for waiting to move on). We finally find one that says they can be here the End of May/First of June. We ask prices and are told 5 dollars a head for sheep and goats. Very reasonable as Mr. X charged 6 bucks a head I think. So we ask to be scheduled in with Ms.Y. We have always been very flexible and worked on the shearer schedule. We have never demanded to be sheared on any certain day or anything. We just tell them to give us a call and let us know when they are coming this way and we will be ready. She asks if we would mind if she brings her “little dog” with her. 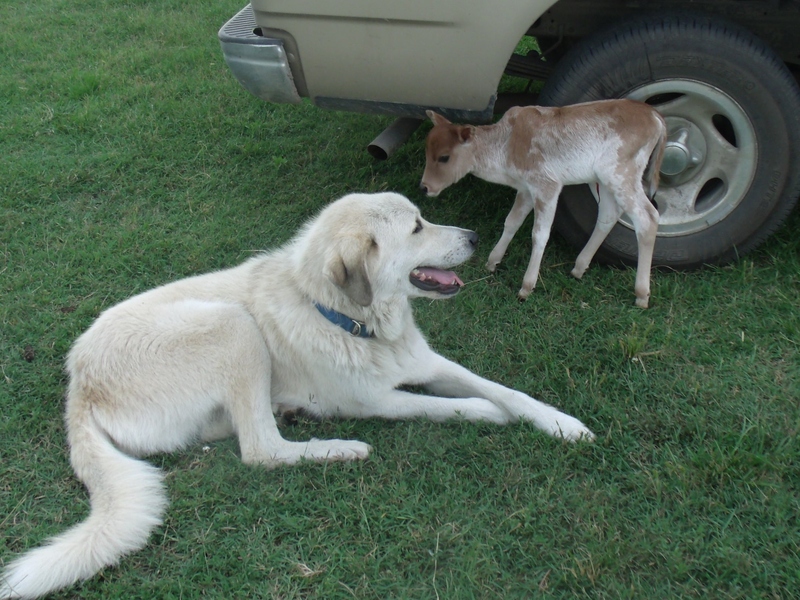 She says he has been around livestock and doesn’t chase or anything. Mom says sure as long as he is either leashed or lays were he is told and stays there. 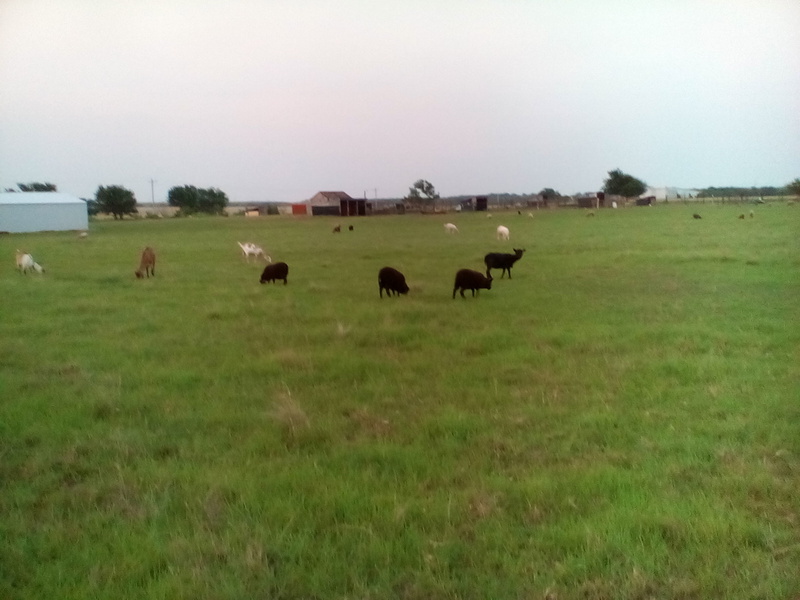 So about four days before Ms. Y was suppose to be here Mr. X finally calls and says “if you still need your herd/flock sheared I will be in the Coffeyville area and I guess I can stop by then.” I politely told him “No, Thank you, we have it covered.” A few days later Ms. Y calls. “I am sorry but I am going to have to wait to come down there … it will be another two weeks or so. (Really??? I could have gotten Mr. X to shear when he called if I had known you weren’t going to be coming when you said) It is now getting into June and the weather is getting hot. Fast forward two weeks of working to keep the animals in vitamins and minerals and keep them cool. Ms. Y calls and sets up a day to finally come shear, 3 weeks later then when she said she would be here, but still she is coming. I am counting my blessings at this point. A week of 100 plus degrees is taking it’s toll on the animals and extra vitamins and minerals aren’t helping as much as we would have liked. Anyway, Ms. Y says I will leave at sun up and get there in the cool of the morning and we can get started. That morning we are up, the sheep are penned and haven’t been feed for 12 hours. The mat is down and hoof trimmers are ready and the wormer is on hand. 9am passes without as much as a call … 10am we get a call. Ms. Y informs us it will now be noon before she arrives. UMMMM … How long does she want the sheep to be empty before she shears them??? It will now be 15 hours … 12:30 Pm Ms. Y shows up. And out jumps her ‘Little Dog”. A Dalmatian — all 75lbs of him. Little huh?? The first thing he did was go after our sheep. Mom made Ms. Y tie him to the Billy goats cinder blocks. He still tried to get the sheep, teeth bared, mean like. Mom was really mad about it as we kept having to move him so that we could get the sheep to calm down enough that we could catch them. Ms. Y NEVER attended to her dog. She never even scolded him or offered him water the entire time she was here. This is not acceptable on our farm. Mom gave the dog water. No matter how mean he is … He still needs water in 100 degree weather. First, she called the animals names and said things like she was going to make them into ground beef or rump roast or lamb chops … ect. Mom was angry at these remarks. And you can hear her call Baby Girl butthead in the podcast. (Mom tried to keep the podcast clean and family friendly but it was hard this week) Mom told me later that she wanted to scream at Ms. Y and tell her SHE wasn’t MAKING them into anything. She didn’t own them and what was to become of them was none of her business … But she was a good girl and didn’t say a word. Mom did disappear into the house a few time to shed a few tears and pray for strength to get through the shearing. So moving this story along, about 4 pm Mom decides the animals that haven’t been sheared WILL not go any longer without at least having water. So she waters them. At this point I don’t think it would have been wise for Ms. Y to have said a word about it to Mom. She didn’t and I am glad. When dinner time rolled around we were pushing 12 hours with no food as well. So Mom ordered Pizza. She was polite and tried to include Ms. Y by asking what kind she liked and ordering so that she could get a bite to eat at our expense. That went over like a box of rocks. Ms. Y was rude to Mom and didn’t eat anything telling us that she would rather us Keep working. Okay, by us, she again implied that we were slowing her down. Hello, we were up and had breakfast at about 6am and who was it that said they would be here in the “cool of the morning? ?” If we were getting slow at this point it was lack of food but we were still ahead of her all the way. As the day turned to night we had to set up lamps to give Ms. Y the light she needed to shear. It now wasn’t just about her getting tangled in her cord but her getting tangled in the two cords from the lights as well. Finally, she walked away without shearing Cinnamon. She went to her car and figure our bill. Well, at 5 bucks a head for 38 head … that should have been 190 bucks plus mileage … she charged us 10 bucks a head plus mileage … Why you ask?? Good Question … and the same question was asked of Ms. Y … and her reply was this … “Oh it is 5 bucks just to do their backs … the legs, head and tails are extra! HUH??? Say What??? Who Shears like that???? Really just the backs?? What shepherd wouldn’t do at least the top of the legs and belly? Don’t all shepherds know that is the area of a sheep’s body that regulates temperature? To cool most animals down quickly you spray their front legs, chest and belly area with the garden hose. This is true of dogs, horses, cows, … sheep and goats!! And even if that was the case … Shouldn’t she should have told us that when we inquired about the price, BEFORE we asked to be scheduled? Well, to bring this horror story to an end, Mom paid her. Then Ms. Y had no plans to provide us with a receipt for being paid. Mom forced her to write one after we loaded her up to get her out of here and off our farm. After she left Mom and I worked to get all the fleece and everything into the house before it rained. We never thought we would have had to worry about that since shearing was happening a day before the rain was scheduled to roll in. At this point it was Friday morning for us. Mom headed to bed as she had planned to go to town and get the dust for the goat’s mites the next day and the Corid for their water treatment. That way after the rain passed that morning we would treat everything and all the animals would be on their way to happy, healthy, stress free times. However, She didn’t want to drive to town on no sleep so she napped. While she was napping I headed out and trimmed the men’s feet and worm them. I stopped trimming and worming to try and help Ms. Y go faster. It didn’t help but I still needed to get the men done. After that it was chore time. I got my chores done in the cool of the morning and when I got back in the house Mom was up and starting her “next day” if you can call it that. With just over 3 hours of sleep she headed to town and I stayed home to take care of visitors and get me a nap. When Mom got home from Town I got up and started my “next day” on about 2 hours of sleep. Friday afternoon, when our intern showed up, we dove right in getting things done. She was a huge help. She helped treat for mites, doctor the waters for the sheep and goats with the Corid, skirted two fleece and helped move all the fleece from the kitchen to the fiber room. And that was just for starters. Bella worked her bottom off. We had given her the short run down of the day before and she understood that we need to take care of these animals. She even helped make pasture checks and checked animals for flies on their “scratches” from the shearer. I do think she about lost it when she found a small chunk of skin still attached to one of the fleeces she was skirting though. Can you blame her? Friday Night I went to bed about 6:30pm and Mom and Dad went to bed at Dusk, as they had to wait to close the chicken coop door after they put themselves up. This morning I felt as if I had just gone to bed when Mom woke me up this morning. 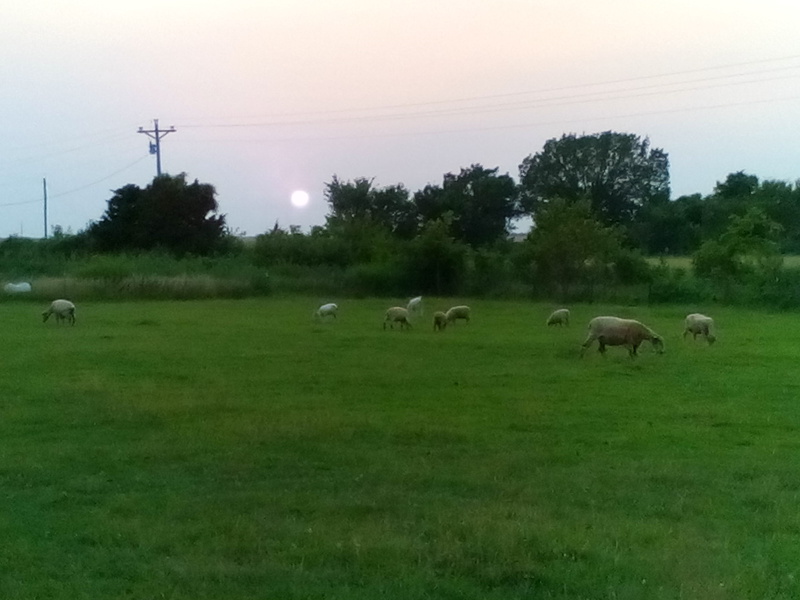 I needed time to get the podcasting done, this blog post ready, the waters treated, the new barn cleared for bombing (Mom bug bombed it because the flies were out of control) Pasture checks made and all wounds screw worm sprayed as well as give shots to two of the sheep … all before I leave for my rodeo. RJ left his post on the pc and the pod cast up as well before he left for his rodeo. I did take a few comments out that I felt were a bit 17 year oldish and maybe a bit mean but I left most of the post intact. As I understand where the anger is coming from. I will say that we both have very bad attitudes about the experience. What RJ didn’t put in his post is that we are people of action. I have always taught him that if you see an issue don’t just stand around griping about it. Do something to fix the issue. So what are we going to do about what happened so that it doesn’t happen again??? Well, we know the answer to that too. From here on out we will shear for ourselves. I have drawn up plans for a mini Alpaca Style shearing table that we will use for the small sheep and we have a show stand that we use for clipping show sheep that we will use to shear the large sheep on. All in all we feel like we can provide better service to these animals then either Mr. X or Ms. Y ever intend to provide. So there you have it. The whole ugly truth about the last few days on the farm. RJ and I did have a chat about if we think most shearers are as unprofessional and mean as the ones we have found. Honestly, I Pray not. I would hope that somewhere there are good, honest, hard working shearers that do really good jobs for the animals they shear for. So today I was closer to being up on time. I roped liked normal but then Mom and I had to make a run to town. I had to laugh though. I think Mom is rubbing off on people. Mom had to run by the bank and to wal-mart so she told her buddy’s Mom that she needed to bring her buddy late. The funny part is that when buddy’s Mom asked if Mom could save her a trip into town too and drop off her deposit for her as well. Mom being Mom said sure no problem! We got home and a little man didn’t get here until almost eleven so we missed the sale. That was Okay we had other things to do. Mom and her Buddie went to work filling waters and cleaning up around the equipment pen. When they did, they got a big surprise. One of the hens managed to hide a nest. She showed herself today parading a dozen new baby chicks as and went. When the work of the day was done me and mom’s buddy got in some practice on the roping dummy and just enjoyed the day. This evening I took some time to go team rope a bit with my uncle. I didn’t even take my house I just rode his. As for now I am going to play with this tablet and see what more it can do and try to figure out how to get pics on the posts and see if we can podcast from it…. That would be so cool!!! Today started out late. I know that 6am is early for some but for me it is 2 hours late. I never heard my alarm. Mom seems to think that I am tired because my asthma might be acting up. I am starting to think she might be right. Because even after I got the two hours extra sleep this morning, I enjoyed “quiet time” with Mom’s buddy and picked up another hour of sleep then. I did fit my roping in this morning but after that I took some time to move some things around. First, the men are now over in the yard pen. Then I moved Cinnamon and her two partners over to the goat pen. Cinnamon is doing fine but she still can’t get her front end all the way up. She was doing even better until we found that she had lost her balance and fallen over in a way that she couldn’t get herself righted. I found her on a check and so I know she wasn’t down that time for very long. Anyway, The last thing I did was to let Knight out into the Goat pen as well. I made sure to fly spray his open wound before I turned him out and I will keep it sprayed everyday. I thought about moving him back in at night but I don’t really think he needs it. After all the time he has been here his wound is down to just over the size of a quarter. I think he was really happy to be outside for the day so when night fell I didn’t have the heart to force him to go back in. So that means we will see how he does tonight outside. I spent the rest of the day cleaning up my room. You see If I want to keep the foosball table Mom made me promise to have my room cleaned in one week. So I cleaned my nightstand and the top of my mini frig. Tomorrow I will do my dresser. Today RJ seems to think I had a more productive day them he did. I on the other hand don’t really think that is true. I think we are about even at this point. RJ was up at 4am and got the chores done before getting in his roping practice. He then kept check on Cinnamon who still isn’t on her front feet but is trying and getting closer to being back to normal. 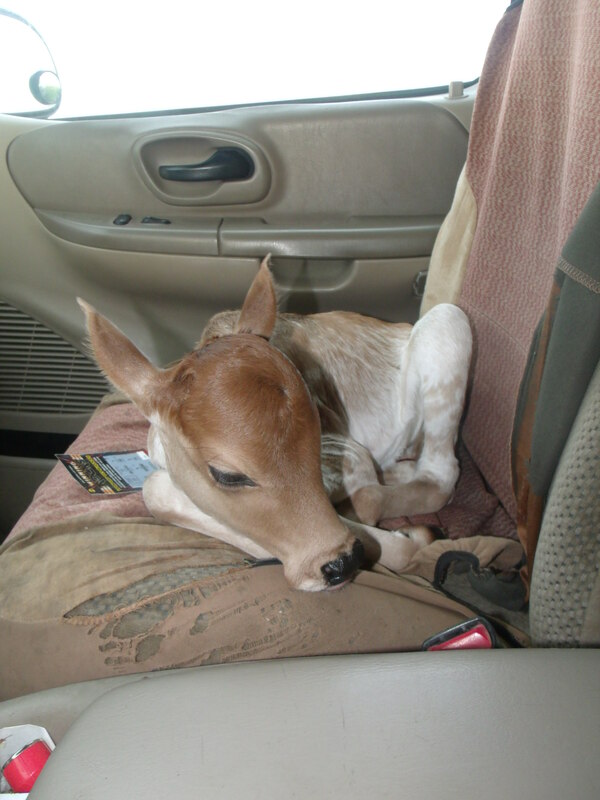 He and his Dad also made a run to town to get the altinator for the tractor checked. Verdict is that it is dead and will need to be replaced. They forgot the check book so the new one will be picked up on the next run to town. When they got home they went and did chores for our neighbor. This is the same neighbor that owns the Bull we breed B’Day to. So the guys also took B’Day to play with the Bull for a few weeks. 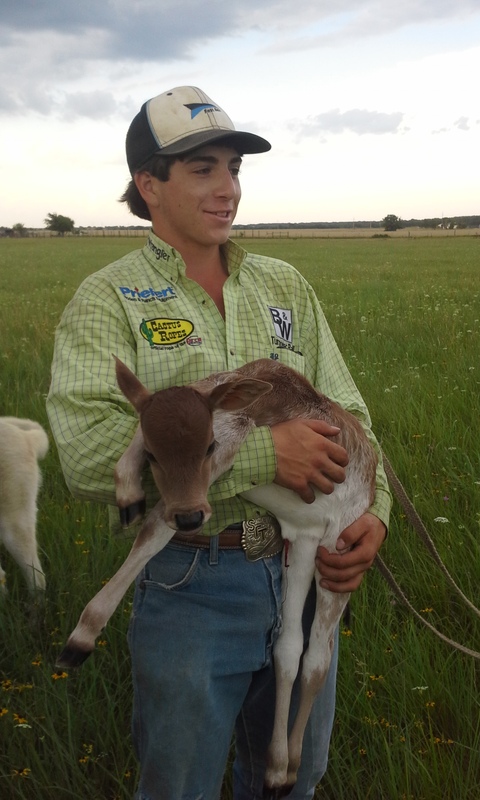 Then after chores this evening RJ went to a friends house and they worked on tying calves. Okay so I drove him but that was after I got all my work done for the day. I started my day a little after 5am with my morning walk. Then I came home and removed yesterday’s soap from the molds. I am so excited and love making the goat’s milk soaps. So much so that today I made two more batches. One batch was made in the molds again and the other I made in a box lined with wax paper. Both batches are what I call bare bones as there are no scents at all in them. In the between batches of soap I worked to skirt and wash three different fleece. I have a goal that I want to have only washed fleece in the fiber by the end of the year. We will see how it goes but I am working each day to get some washed up. When it came time to take RJ to his friend’s house I grabbed my crochet and took it with. I got about a third of a wash cloth done so I feel pretty productive. As for now I am getting laundry under control and soon I will be heading off to bed so that I can get up and start it all over again but this time no soap making, more laundry and plenty of fleece washing … Oh and did I mention I was going to do all that with a two year old in tow?? ?